Overall Size: 65"x22". Mirror Size: 64.5"x21.2". Large enough for you to view your entire outfit. This dressing mirror is durable with 5mm pure sliver lens,authentic sliver mirror adopting International Environmental Standard. 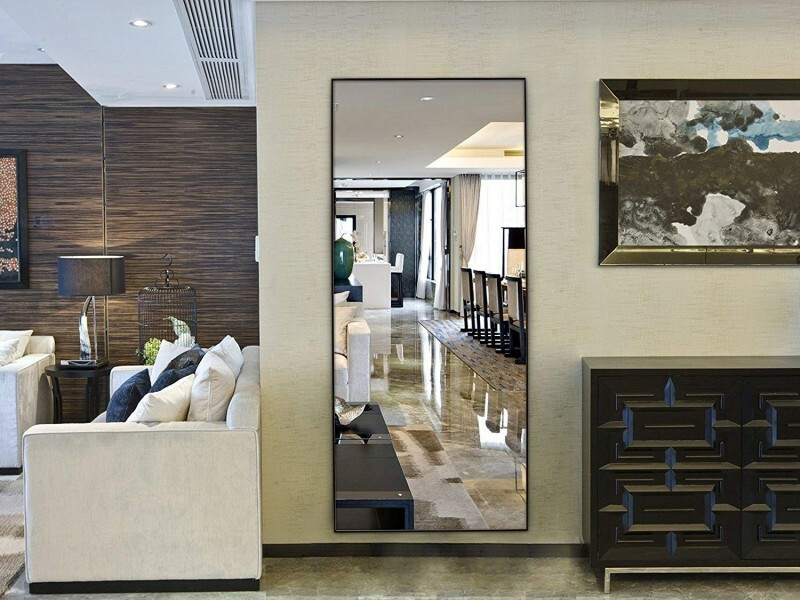 Exquisite Solid classic PS frame cheval mirror, contemporary color and design fits all decors. Absolutely safety guaranteed floor mirror with explosion-proof membrane and scatter prevention. The mirror is ready to lean to the wall with the stand, or you can hang it on the wall for stylist and space-saving. Hangers: Already mounted to the back of the mirror, hang it on the wall, in you closet or behind the door. Exquisite wood texture is fashionable to fit any room decoration, perfect for bedroom, bathroom,living room or corridor.